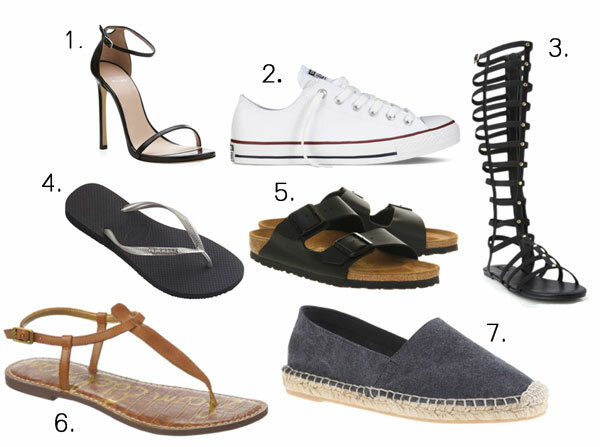 With the first official day of summer just a few weeks away, I thought I'd put together a round up of my favorite summer shoe styles. Whether it's a basic pair of flip flops or an edgy gladiator sandal, all of these are summer footwear musts for me. What styles are you loving for summer? I'm still liking gladiators. Ooh, Sam Edelman's designs are lovely!